Time is running out! 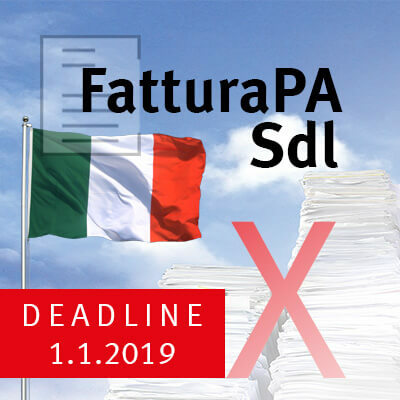 From 1st of January 2019, in order to reduce tax evasion, the obligation of electronic invoicing in Italy will be extended to all B2B transactions. If you want to avoid a last minute rush you need to act now. Since 2015, invoices generated for all business transactions going to Italy’s public administrative authorities (FatturaPA) must be created and signed in electronic form and transmitted via the data exchange system called ‘Sistema di Interscambio’ (SdI). As of January 1, 2019, SdI must also be used for all other invoices between all sorts of businesses (FatturaB2B). This topic was already well described by my colleague Gerrit in an earlier blog. Do not underrate the effort to setup this process – even as a Cloud Service! SEEBURGER Italy was established back in 1998 and since then we have built up extensive experience in B2B integration and E-Invoicing mastering challenges for clients in Italy and elsewhere. Our current experience in talking to many clients and prospects revealed that still too many underrate this topic and delay the decision and thus the implementation process. Connecting to SEEBURGER´s E-Invoicing Cloud Service will allow them to avoid a lot of complexity, but still it is necessary to ensure the completeness of the data which needs to be handed over to our cloud service. Also various organizational measures around the overall Invoicing process need to be reviewed and adapted. FatturaB2B is a mandate, but when implemented in the right way it also provides a lot of business benefits. Various sources estimate the cost savings compared to a manual, error-prone invoicing process in the range between 60% and 80%. In addition, E-Invoicing increases the quality and transparency of the invoicing process – and ensures compliance with legal obligations. So SEEBURGER, with a strong Italian presence since 1998 and with over 30 years of experience in business solutions can certainly help all companies forced to innovate and comply with current legislation, supporting the digitization process with a consultative and project approach. Specifically the complex process through SdI can be implemented quickly thanks to our E-Invoicing cloud solution, which offers a secure, simple, scalable access with high performance and full cost transparency. The SEEBURGER solution supports all relevant international standards (CDFI in Mexico, SII in Spain, DEMAT and Chorus Pro in France, ebInterface in Austria, ZUGFeRD in Germany and PEPPOL in Europe) and is complying with the regulations of over 55 countries. All out of one hand – just in case you face similar challenges in other countries. ACT NOW! Francesco Bonello, Key Account Manager for SEEBURGER Italy since October 2016. He graduated with a degree in Engineering from the University of Pavia. 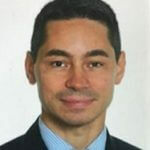 Francesco has more than 15 years of IT integration experience in different roles as consultant, pre-sales and sales, working for several international companies.